If your furry family member needs a professional touch, we’re happy to help with our Bath & Brush package! The bath and brush service begins with premium products for a thorough cleansing of skin and coat conditioning. This is followed by a full brushing of the pet's coat. Give your pet the ultimate upgrade with the Deluxe Bath package. Our deluxe service includes the addition of premium products to our thorough cleansing of skin and coat conditioning. This is followed by a full brushing of the pet's coat. We finish your pampered pet’s experience with complimentary nail filing, pad shaving (if needed), ear cleaning, and trimming of sanitary areas (as needed). Our premium grooming package includes all services provided in our bath and brush package; as well as a deep coat conditioner and teeth brushing. The premium groom is an all over haircut for your dog to feel fresh and look good! We will polish the haircut off with a cologne spritz and organic breath freshener. De-Shedding Service – This service includes an enriched shampoo and conditioner which promotes de-shedding of your pet's undercoat. 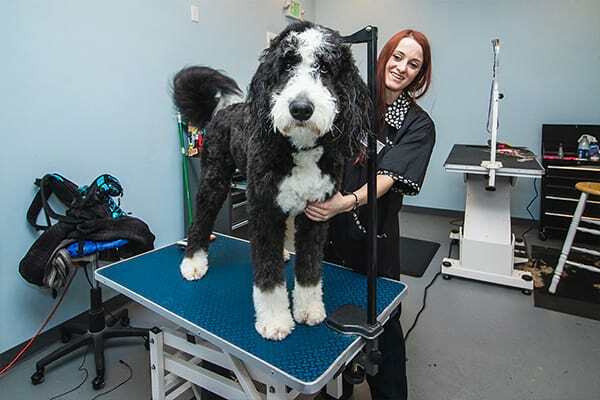 Face-Feet-Tail – Want your dog cleaned up but not ready for an all over haircut? You will still get all of the benefits in our bath and brush, but we will just trim up the face, feet, and trim tail and ears. Flea Dip – This service includes application of a flea killing shampoo with natural flea killing oils. Does your dog's face fur grow a little faster than everything else? Let us clean it up for you! Is your dog shedding, but not ready for a full bath yet? Let us take care of it for you! Need a little touch up? Let us take care of it for you! There are all kinds of little things that we can do to help your pooch look its best all the time! 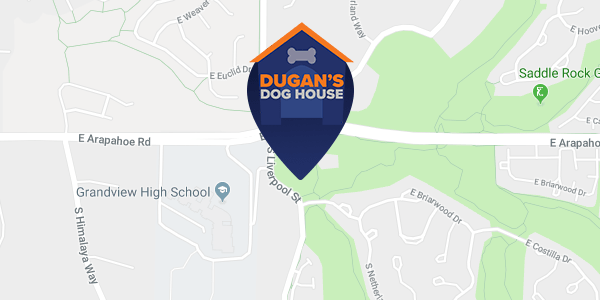 © 2019 Dugan's Dog House. All Rights Reserved.